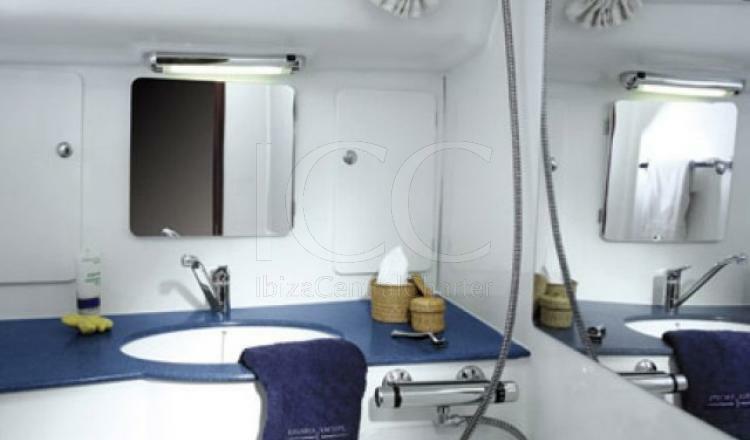 Accommodating up to 8 people, you will have at your disposal more than a charter boat, more than a typical sailboat rental: you will enjoy a true floating luxury apartment of 80 m2 with stunning sea views. 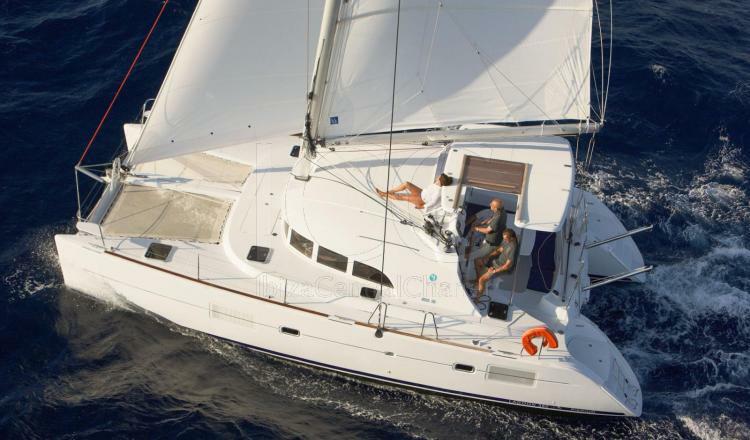 Without the strictures of the typical rental sailboat, you will have a luxurious lounge with panoramic views 360 degrees, with a spacious and comfortable dining table surrounded by sofas covered in leather . 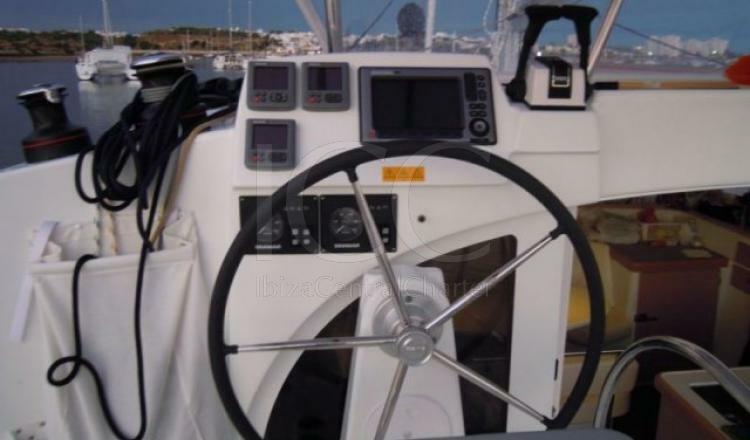 Unlike traditional monohull sailboats not go outside you will need to have full visibility of what is going on outside of the boat. 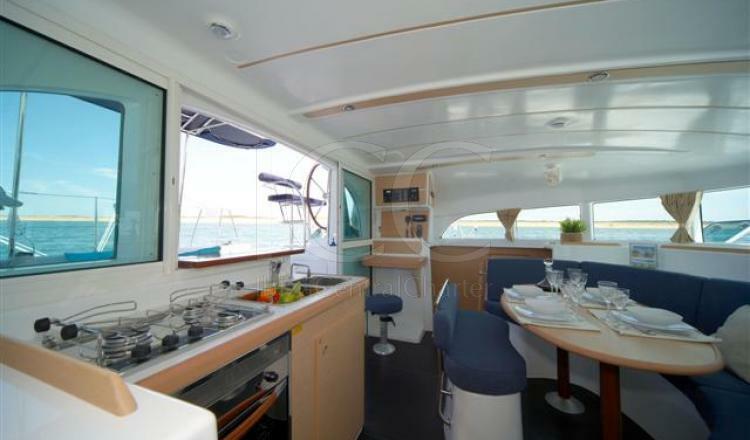 Opposite the chart table, there is a complete kitchen with gas oven, refrigerator, freezer and three burners for cooking in this stunning charter boat as if you were in your own home. 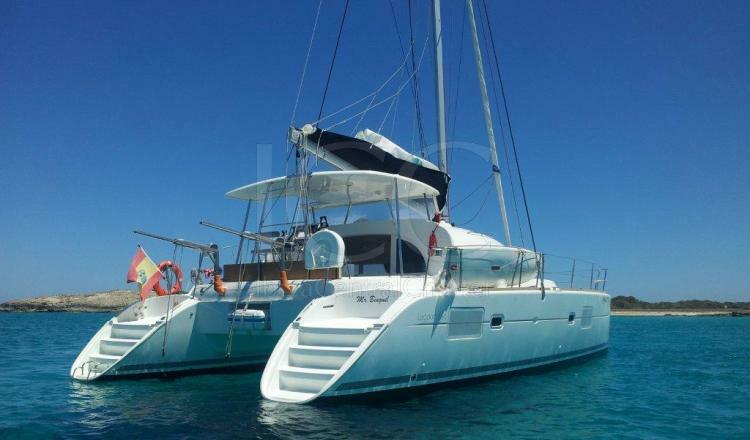 This catamaran has four private cabins with double beds for overnight stays up to 8 people. 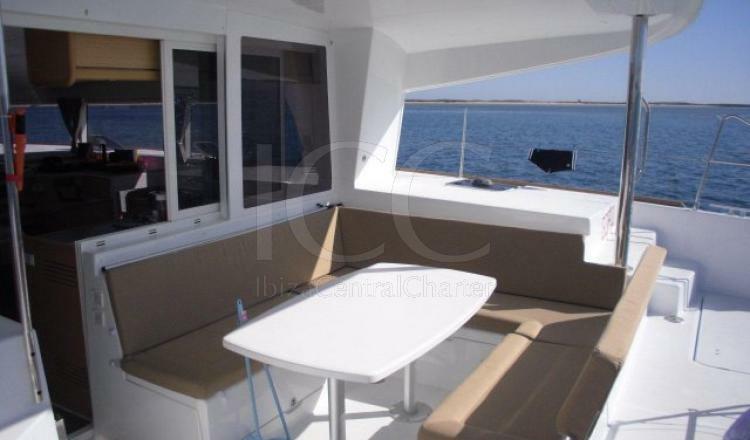 A spectacular outdoor deck aft with dining table where regain strength to continue enjoying this sumptuous aboard charter boat while sailing around the Balearic islands pitiusas. 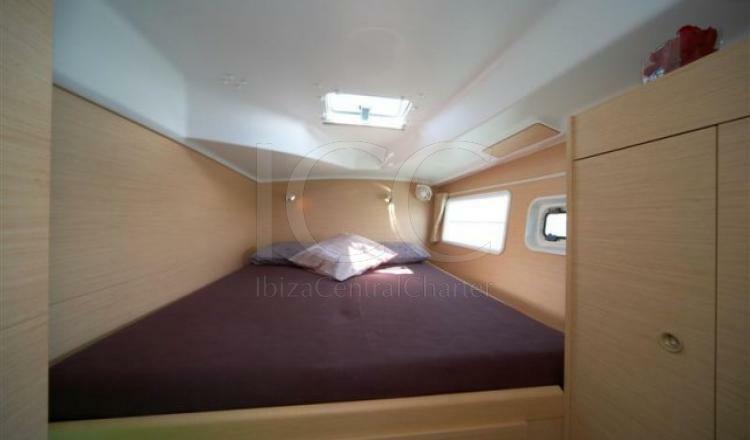 The top deck of these catamarans art is rigid, unlike older catamarans have a canvas awning. 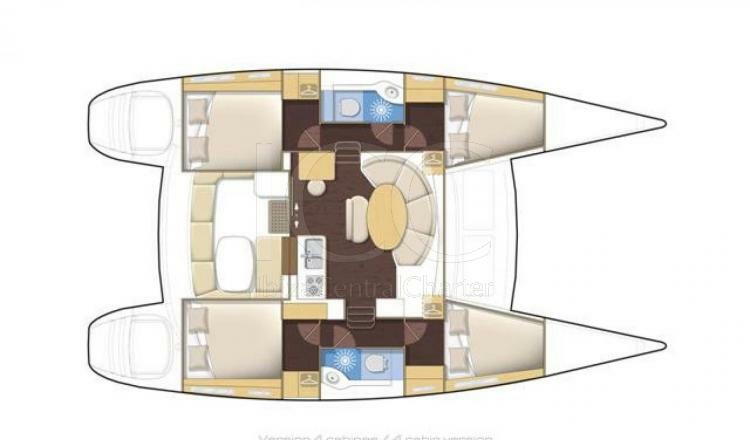 Therefore the hardtop is ideal, not only to access comfortably mainsail and boom, it also serves as a solarium, unless the vessel carries solar panels installed. 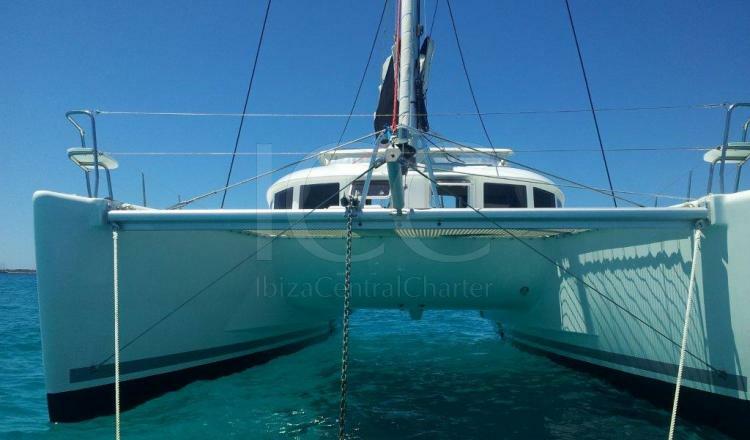 Catamarans are definitely your best option to charter a sailboat in Ibiza. - Fuel: charter days not available to overnight. - Check out: 9:00pm at Club Nautico San Antonio.